German fairgroundride "Encounter", partly destroyed by fire. Currently in The Netherlands at the town Uden. Police are investigating , most likely is arson the cause of it all. 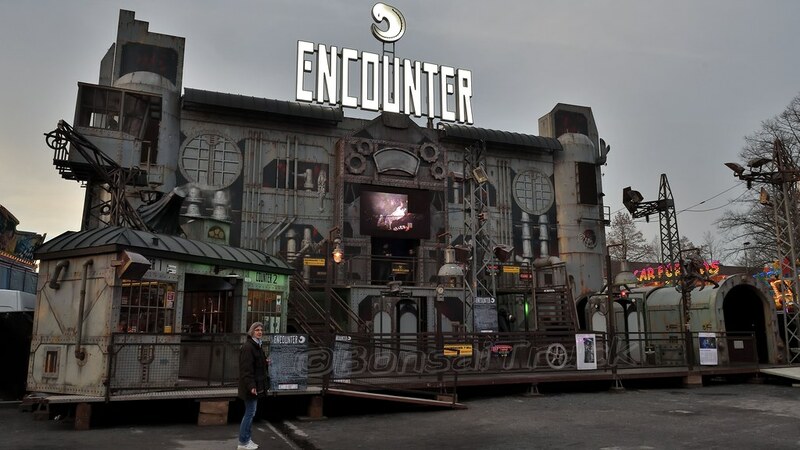 Encounter is a ride based on the original storyline of Alien Encounter at Magic Kingdom in Florida, people are seated in chairs with restraints and somekind of alien will come on stage and lost of things go wrong.